Isaac combines all the gravity of a Biblical classic with an undeniable cool factor. Thanks to Corinne for suggesting Isaac as our Baby Name of the Day. This name comes from the Hebrew phrase tzahaq, meaning “he laughs.” Or possibly rejoices. 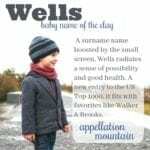 Either way, it feels like a positive choice for a child, a brother for similarly upbeat names like Felix and Asher. But there’s more to the laughter than just plain happiness. In the Book of Genesis, both Abraham and Sarah laughed at the idea of their son’s birth. Abraham was nearly one hundred; Sarah counted as a senior citizen, too. And yet the prophecy came to pass. Their story continues. At one point, Abraham thought he would be forced to sacrifice his only son. Not so. Instead, Abraham became, as his name implies, the father of multitudes. The father and son’s story is cited in the New Testament and the Quran. No surprise, then, that versions of this name are found over the centuries in many different languages and cultures. A handful of saints answer to the name, from the ancient world into more recent times. In English, Isaac appeared in use during the Reformation, one of the many Old Testament names embraced by Protestant parents. Science’s Newton, born in 1643. Plenty of politicians, including two Isaac Smiths elected to the US House of Representatives in the early 1800s, one from New Jersey, one from Pennsylvania. 19th century inventor, Singer, he of sewing machine fame. 20th century sci fi legend Asimov. Legendary violinist Stern, as well as Itzhak Perlman, a modern Hebrew form. Two Israeli prime ministers answered to Yitzhak, Shamir and Rabin. Along the way, some of the famous figures lent the name an edge. There’s designer Mizrahi, as well as the frontman of the Fray and the lead singer of Modest Mouse. But it’s another figure that gives this name an ice cold cool: Isaac Hayes. The current generation of parents might know him best as the voice of Chef on South Park. But long before the Comedy Central cartoon debuted, Hayes was racking up awards – an Oscar, a Golden Globe, and more than one Grammy. He took home the trophies for the soundtrack to 1971’s Shaft. The signer-songwriter-actor’s surname is catching on in recent years. And his first name? Undeniably icy-cld cool. With all this history, it comes as no surprise that Isaac has never left the US Top 400. In fact, it’s been steadily used over the years, hitting a low in the 1960s, but rebounding starting in the 1970s. But in recent years, Isaac has transformed from quiet classic to style star. It owes something to Zachary, since both shorten to Zac. Though Ike strikes me as the even edgier nickname. Not that it requires one, of course! Maybe Hayes gets credit. Maybe it’s the authentic, but unconventional double-a spelling. Or perhaps it’s simply the appeal of name every bit as traditional as John, but not nearly as familiar. Regardless of why, we know that the name currently stands at #33 in the US, down a few spots from a peak of #29 in 2013, but still powerfully popular. 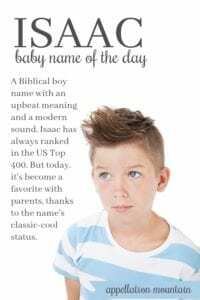 If you’re after an enduring Biblical boy name that feels fresh and modern, Isaac might belong on your list. What do you think of Isaac? Would you shorten it to Ike or Zac? Or use it in full? Originally published on August 13, 2009, this post was revised substantially and re-posted on August 8, 2018. The one I know goes by Izy (eye-zee). Another famous namesake is Isaac Watts. LOVE the name, but I’m biased — we named our son Isaac, born in 2008! Hehe. In the early stages of my pregnancy I was considering the name Jordan but was told it was a “girl’s name” (?). The only Jordans I’ve known are boys, but apparently it’s now being used left and right as a modern-day girl’s name! ;/ Like you mentioned, name popularity (and usage, too!) changes over time. Yay Isaac! Isaac is fully a middle name for me: it’s too Hebrew to go with the rest of my very-Celtic list. Too steeped in religion for my taste, but I do see the appeal. Mizrahi definitely ups the cool factor for me, but I’m betting most fathers-to-be might not be as impressed. It’s funny to me that Isaac was an uncommon name in the 70’s as there were at least 3 in my high school (small Minnesota parochial school.) We also had Nathans, Elijahs, Ruebens and Jacobs all born around 1972-74. I’d like to think our parents were just ahead of the curb, but more likely it was all influenced by a minister who named his own sons Nathanael, Jeremiah and Zechariah. Anyways, Isaac to my ear is a “Dad” name, but it has such a pleasant meaning I would have no objections if a friend was considering it their baby. Isaac is so cool. I especially love the meaning. I’d use the nickname Ziggy… though it’s probably too popular for me, anyway. Congratulations on your boys! Boys are too fun! Everyone I know is having boys, too. It must be in the air. I have never been a fan nor have I ever understood the appeal. I find the sound harsh and its very trendy. I like Ike pretty well. Another bearer is Isaac Bashevis Singer, a Jewish writer. He won a Pulitzer or Nobel or something! Isaac is a name that, like John or James, can’t really get tired out; it can sound comfortably worn but not overused. A wonderful name for anyone who chooses it, I think! And congratulations, mommy-of-a-boy-to-be Emmy Jo! Isaac used to my all time favourite, then I realised just how popular it had become. Popularity really puts me off names and sadly means I won’t use Isaac, although I don’t think it’s quite as popular over here yet however I could be wrong. 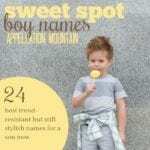 And you said it about boy names – the traditional ones are attractive, but very well used and the fresher sounding ones are coming back en vogue. Back when I first cracked the spine on the baby naming book I had found on my parents’ book shelf, Isaac was my absolute favorite boy name… and in the 80s it was rather rare. Now it’s not really on the list, but we’re struggling to populate a list that both my husband and I can live with. Congratulations to you, too! I’d love to see your current list. Isaac is nice. Probably more common than what we’re aiming for, but an all-around good choice. 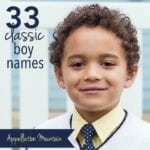 That’s the tough thing with boys’ names. So many of the good, strong, traditional-sounding ones have been so heavily used over the years. And the ones that sound a bit fresher to our ears, like Isaac or Ethan or Caleb, are coming into heavy use again now. By the way, we found out yesterday that we’re expecting a little boy in January. We haven’t come anywhere close to settling on a boys’ name yet … but that means we still have a few months of naming fun ahead of us! How fabulous – congrats! We do have a bumper crop of boys here, don’t we? Congratulations, Emmy Jo! 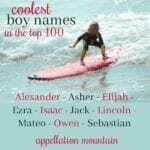 It seems like almost everyone I know or have heard of is producing little boys — it’s fascinating seeing the names being chosen and I’m excited to find out what you and your husband select. In relation to this post, a friend of mine who just had a baby in February named her little guy Isaac (a cousin to her sister’s Isaiah). […] wait – maybe that is the problem. […] Isaac Varian was mayor of New York City in the early nineteenth century. […] a Biblical boy who has yet to catch on. […] Isaac Asimov gave the name to a girl. […] the Day. Esau rhymes with see-saw, and he’s the firstborn twin in the Old Testament, son of Isaac and Rebecca, older brother to Jacob. […] a name heavy with religious meaning, but in our age of Noah and Elijah, Isaac and Gabriel, that’s less significant than ever before. […] Flip open to Genesis to read her story.